THE Australian Men’s Senior Amateur Championship tees off at the Yarra Yarra Golf Club on Tuesday with one of the best fields ever assembled for the event. 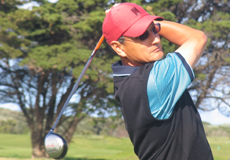 Defending champion and three-time winner Stefan Albinski will battle a 132 strong golfer field of elite older golfers from Australia, New Zealand and the US. Albinski, from Mona Vale Golf Club on Sydney’s northern beaches, will be hoping to add a fourth title to his victories in 2008, 2010 and 2011. Albinski’s run of wins was stopped in 2009 by New Zealand’s Rodney Barltrop, who will again be a strong contender. Barltrop leads a contingent of players from across the Tasman, including his brother Michael. Other international competitors to visit Melbourne for the Championship include the USA’s Kemp Richardson and Bill Cvengros. Richardson is a two-time US Senior Amateur Champion, and runner up in the Australian event in 2010. 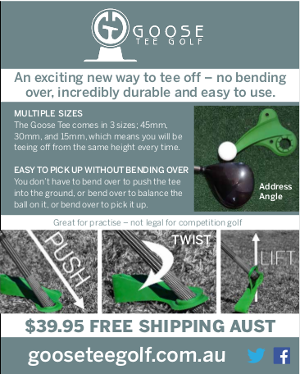 Among other Australian threats are Peter King from Windaroo Lakes Golf Club in Queensland and Graham Blizard from Twin Creeks Golf Club in outer Sydney. King sits in second place on the Australian Senior Men’s Rankings behind Albinski, courtesy of wins in the NSW and Queensland Senior Amateurs earlier this year. Blizard, father of Australian professional and 2009 Eisenhower Trophy representative Rohan Blizard, is also sure to impress having won three of his four Ranking Events contested this year. Denis Dale, also from Twin Creeks Golf Club, won the title in 2007 and 2006 Champion and should not be overlooked, nor should Bill Banks (Royal Canberra, ACT) or Tony Gresham (Pennant Hills, NSW) who have four titles between them. The Australian Men’s Senior Amateur Golf Championship is in its 32nd year, having been played since 1981. With the winner claiming the Kerry Packer Trophy, it is Australia’s premier men’s senior amateur golfing event. It is played over 54-holes of stroke play, concluding with a Presentation Dinner on Thursday evening. Entry to the Yarra Yarra Golf Club for spectators is free for the event, from Tuesday 4th to Thursday 6th of September.